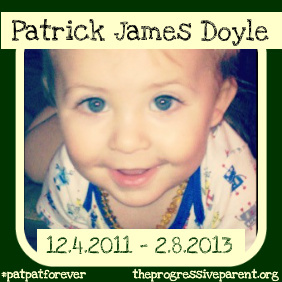 When I lost Patrick I had no idea what to do, how to feel, where to go, who to talk to. I felt more alone than I’ve ever felt. I have since learned that one in four women has experienced miscarriage, stillbirth, infant or child loss… That fact means that there are hundreds of thousands of parents across the world who are hurting in similar ways, and must also need a place to turn for comfort, guidance and validation. Here. Turn here. You are not alone. The following an alphabetical list of resources that I have personally found helpful, or others have found helpful and recommended. It will be updated and maintained as often as possible. If you wish to add any other groups or resources, please send information to: theprogressiveparent@gmail.com. For immediate help, consider locating a Bereavement Doula near you, or consider calling one of the hotlines below for immediate, person-to-person assistance. I’ve been there. Sometimes I’m still there. This too, shall pass. Since 1996, the MISS Foundation C.A.R.E.S. 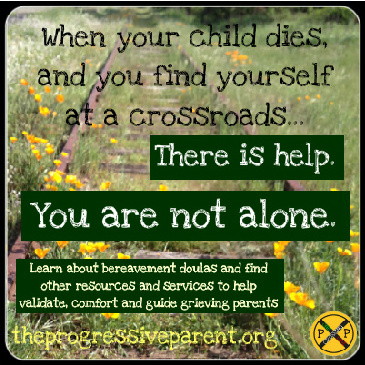 (Counseling, Advocacy, Research, Education and Support) for families experiencing the death of a baby or child at any age and from any cause. The MISS Foundation provides a sanctuary allowing healthy and necessary grieving in the face of tragedy which Western culture no longer fosters or supports.